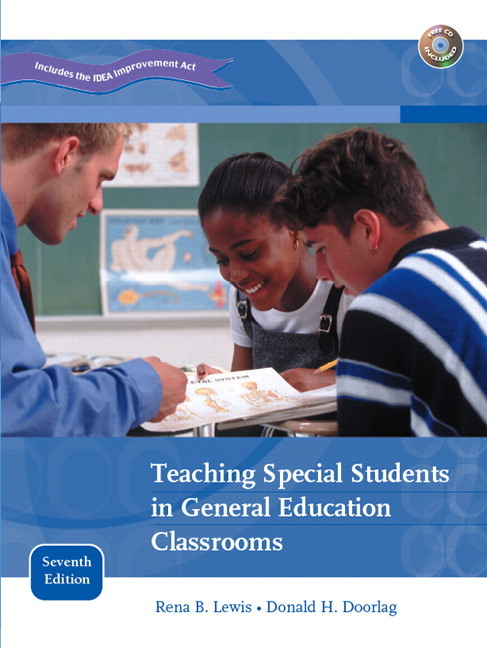 Teaching Special Students in General Education Classrooms , 8e, benefits all students in the Inclusion and Introduction to Special Education and Courses by providing teachers with the skills needed to deal with the complex and often perplexing diversity that lies behind the classroom door. All students, particularly those with special learning needs, deserve special care and special teaching. This reader-friendly, categorically organized text takes a case-based approach to contextualize the laws, organizational information, and teaching methods educators need to know to teach all children effectively. Paying closer attention to the important ideas of Response to Intervention and Universal Design, assessment and the needs of English learners, and dedicating an entire new chapter to assistive technology, this comprehensive new edition continues to break new ground in preparing general educators for the challenges and opportunities of the inclusive classroom. I really enjoy the readability of this text. Well done. All the chapters are well written and easy to understand. Students’ stories are very interesting. These stories add strength to chapters. Very useful for general educators. In the 20 plus years of teaching this course, this is the beat professor friendly and student friendly text that I have used. It provides a nice balance between theory, research, and practice. Dr. Rena B. Lewis earned her Ph.D. at the University of Arizona, with a major in special education and minors in psychology and systems engineering. She began in special education as a teacher of children wtih mental retardation, although the majority of her work has been with students iwth learning disabilities. She is currently Associate Dean for Faculty development and Research in the College of Education at San Diego State University. A frequent contributor to the professional literature, Dr. Lewis is interested in instructional adaptations for students with special needs, classroom assessment techniques, and ways to use classroom technologies to improve literacy instruction. 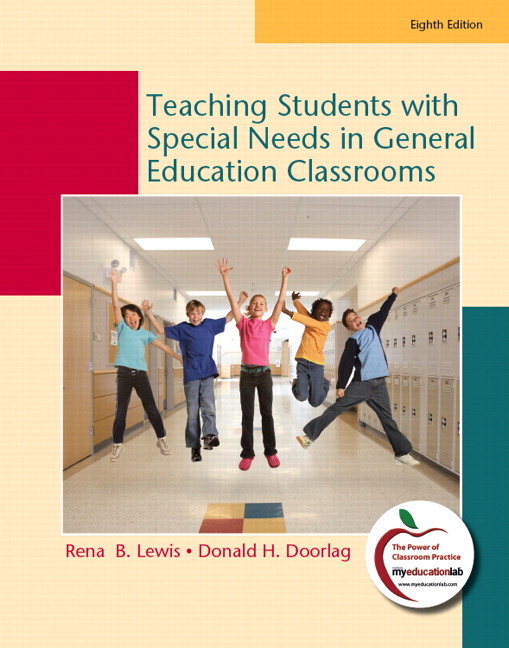 In addition to t his book, she is co-author with Dr. James A. McLoughlin of Assessing Students with Special Needs (7th edition). She was honored with an award by the International Reading Association for her report on research implications for teaching reading to students with learning disabilities. Her current research interests center around literacy interventions for highly gifted children from linguistically diverse families.